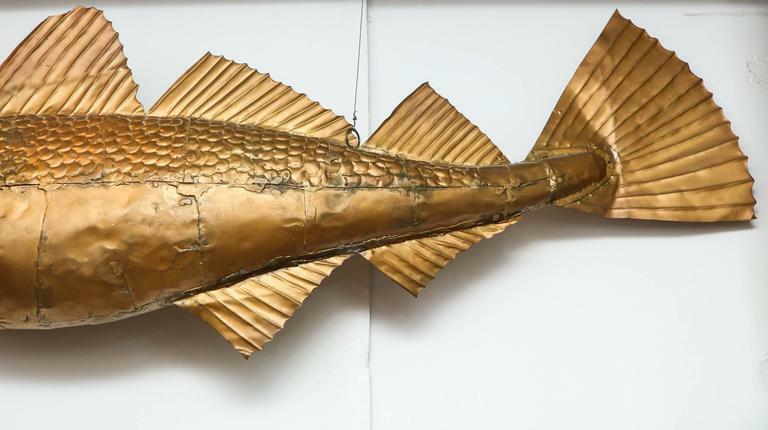 Golden cod fish by Stephen Pinney (American, b. 1949). 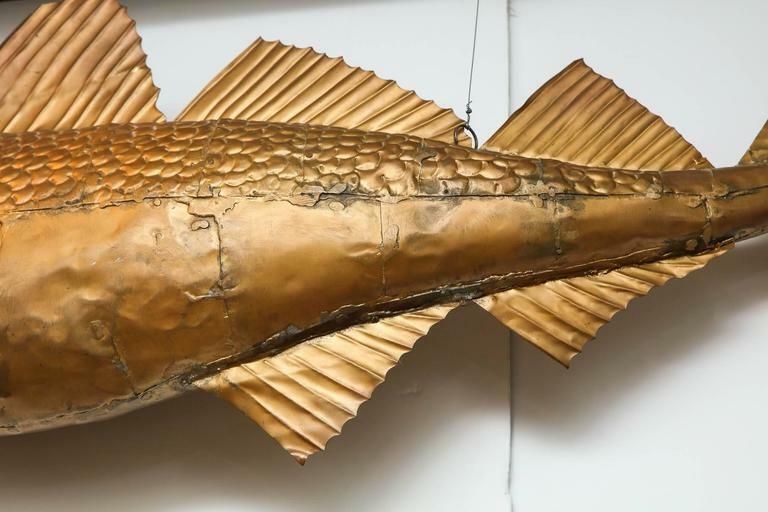 Copper cast with hand-applied gold leaf. Ex. 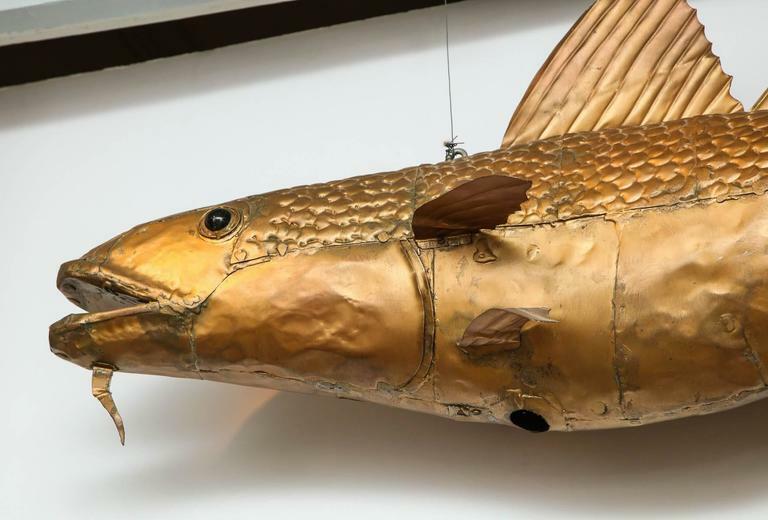 Coll: private collection, Massachusetts The sculpture can be mounted as a weathervane or it can be suspended from above from two eyehooks in place on the upper surface. Stephen Pinney a world-renowned builder of marine models. 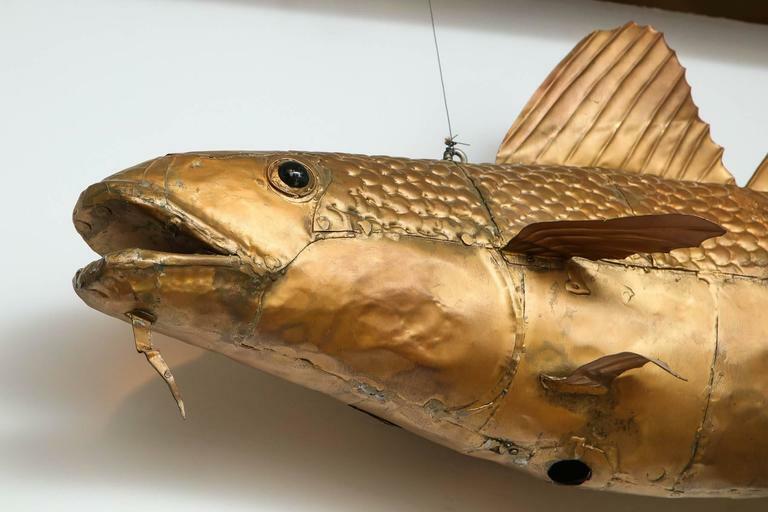 Since the 1970s he has been building historically and technically accurate models. 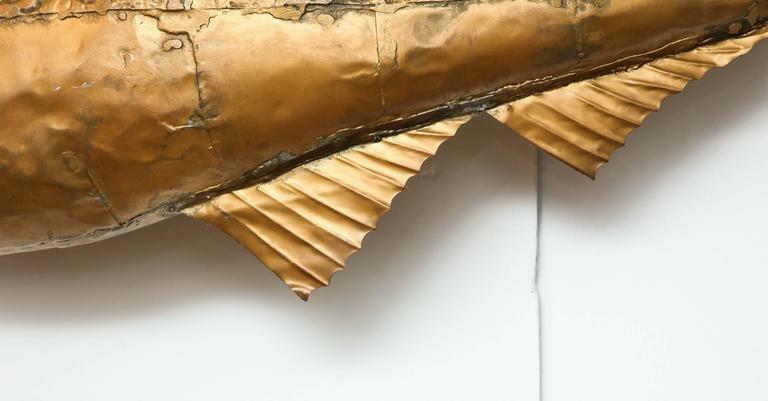 In the late 1970s Pinney crafted several weather-vanes in copper and iron during long Cape winters. 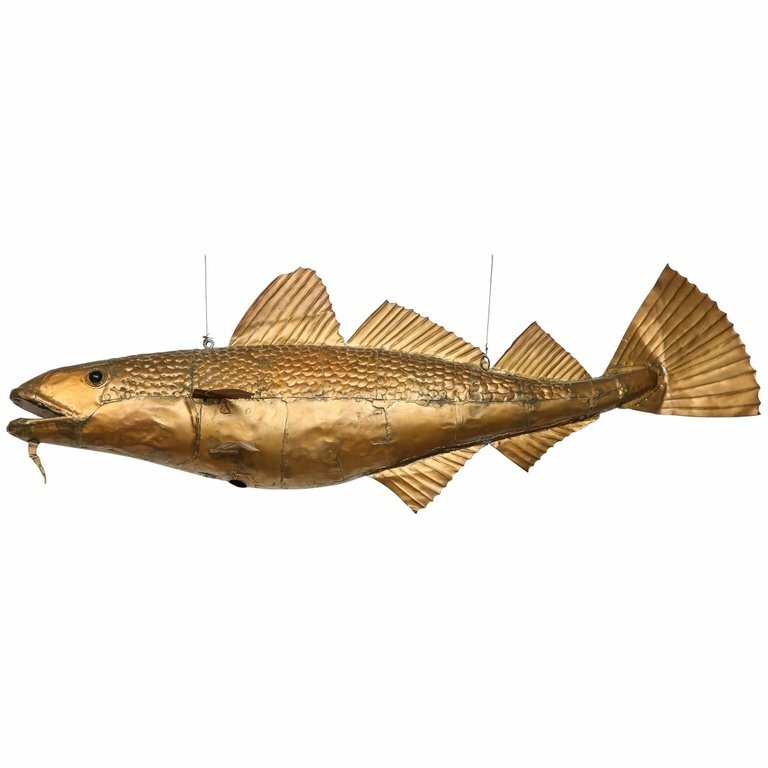 These weathervanes included ships, a humpback whale and The Golden Cod. 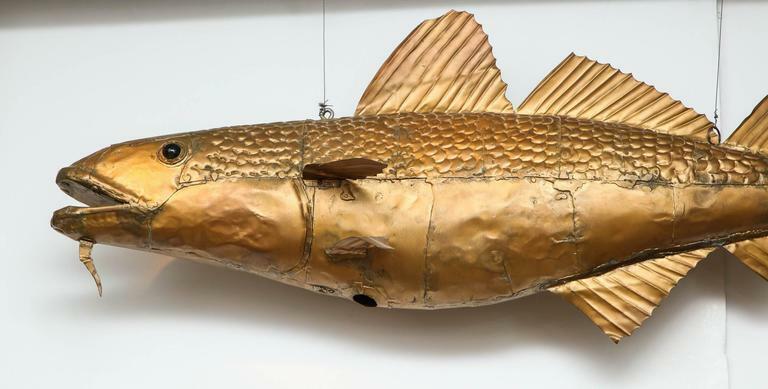 Pinney spent hours casting and then hand gilding the elaborate details of this unique fish from which the name “Cape Cod” is derived and which remains a symbol of Massachusetts.